Writers, publishers, and speakers should look themselves in the mirror today and ask one simple question. Are you podcasting yet? If the answer is â€œyes,â€ then bully for you. Carry on. If the answer that surfaces is the alternative, slap yourself sharply on both cheeks and read the rest of this post. There are a few unique aspects to the nature of podcasting when compared to other communications. Like email responders, it can be automated so people can find and download your content at any time. As a time shifted and portable medium, people can listen to the content anywhere and at any time they like. In today”s busy world, that”s a big deal. Without further ado, here are the 5 big reasons we think you should get into podcasting. 1. Free and Easy: Even if you were literally penniless, you could set up a podcast. 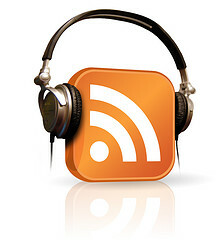 The largest directory is iTunes but others are MyPodcast.com and Yaktivate. The last two insert ads into your podcast but you earn a portion of the profit and can even find sponsors of your own to earn a greater profit share. 2. Get Your Content Out There: Podcasting is an excellent way to get your book”s content circulating among the masses, even if you haven”t written it yet. Talk about a portion of the book or, if it”s fiction, read a chapter at a time. A podcast is the perfect arena to test unwritten material ahead of time and see what works and what doesn”t. 3. All Important Web Presence: A podcast on the web is another place to hang your shingle and let people know where you are. It”s likely to tap into a different audience than those browsing your website. More â€œpresenceâ€ means more traffic and, hopefully, more sales. 4. Repurpose Content: A podcast can lend itself very well to transcribing the content into an article and posting it in a directory like Ezine or Go Articles. Once again, more places for people to stumble across your work. 5. Sell Stuff: If you have a book, paid membership site, or anything else you sell, what better place to promote it than on a podcast? There are other ways to monetize your podcast also, one of them being to find sponsors, as we”ve already mentioned. 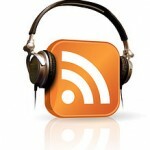 Podcasting is big now and it”s not going away any time soon. Depending upon level of technical expertise and motivation, writers, publishers, and authors could make a splash in a big way through use of this method of communication.